When you start your own business, you are usually inundated with a seemingly endless list of tasks. Just keeping up with the day to day demands can be daunting. 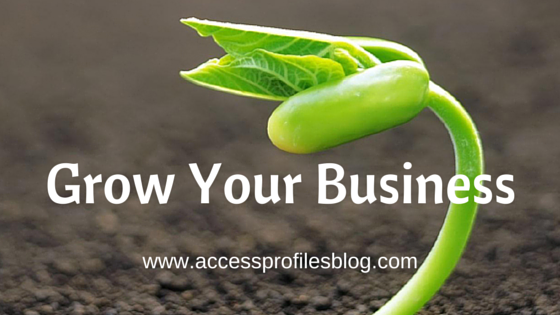 The idea of actually growing your business may not even occur to you. But then, one day, you are faced with a possible cross roads. Do you keep the status quo or take a further plunge and expand? Now is the perfect time to ask yourself some direct questions and consider your options. 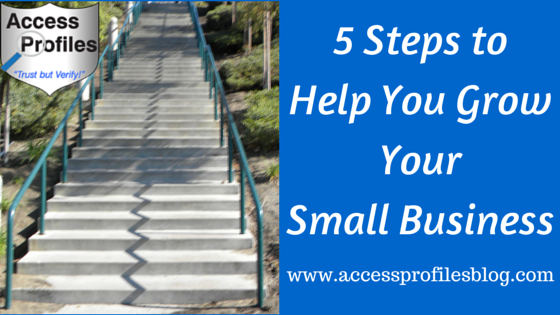 5 Steps to Help Grow Your Small Business! "Tweet This"
Most Small Business Owners are faced with this question at some point. It usually comes at a time when your hard work is starting to pay off and you see real progress in reaching your initial goals. It is then you may start to think it is time to Grow and Expand Your Company. You may consider increasing your workforce, entering a new market, or something else designed to generate new business. While there are many possibilities as to what direction you can take, it is vitally important to choose the correct one according to your business and your new set of goals. You should make sure you take into consideration your type of business and the amount of time and money you are willing to invest. This is an option whether you are a product or service based business. You can choose to create something new to add to what you already have to offer. I have used this option. 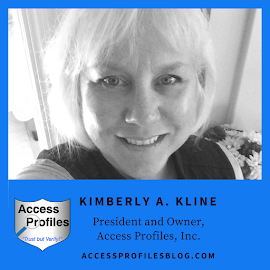 By periodically adding new services, I have been able to expand my client pool and add value to my already existing clients. By using this tactic, your business has better access to different sources of income. It also keeps your business "fresh" and exciting to your customers! Even though the market you currently target produces sales, taking a fresh approach and looking at what you can offer additional markets could be just the growth push your company needs. Take a hard look at your products and services. Are there additional markets that may also have a need for them or that have a problem you can solve? Consider these your new "target markets". Pooling resources is a great way to expand. You can consider purchasing outright a struggling or bankrupt business. You can also decide to merge or partner with another similar or compatible company. Either way, there are definite benefits; a "ready-made" customer base, the ability to retain the best employees from both companies, and the chance to combine resources and knowledge. This can be a tricky option, but one many small business owners desire. The main consideration here is the capital required. Is this step something you have existing capital to fund or would it be necessary to borrow to finance the new location? It is important to consider the additional costs to run another location. You should plan for more "man power", utility costs, supplies, and even rent or mortgage costs. All Small Businesses should be Online! Even in tough economic times, or if no other step for "growth" is possible, being active and engaging on at least a few social media sites is necessary. This can be a "no-cost" to relatively low cost step. Most small businesses have created the basic Facebook page, established an identity on LinkedIn, and many use Twitter, Pinterest, and Instagram on a regular basis. However, there are also additional platforms to consider. For example, writing a blog is a great way to establish a "voice". A blog can help your business build credibility and establish yourself as an "expert in your field". Writing an ebook can accomplish much of the same. Either way, it is a definite step to take to get your business notices and widen your reach. You can read more about the benefits of blogging here! What I would caution, however, is that establishing a strong media presence can be extremely time consuming. While the "voice" you create definitely needs to be consistent, employing a professional company to run your social media is a valid expense. Growing your business can encompass a full blown charge ahead or can simply be a few small steps designed to move your company in a forward direction. What is most important is for you to fully analyze where your company is at the moment and where you want it to be in the future. "Without continual growth and progress, such words as improvement, achievement, and success have no meaning"! Contact Us Now ~ we can help You! Check out our Background Investigation, Business Mentoring, and Security Consulting services to find out more! Excellent advice as usual Kimberly...thank you, I took notes! Thanks for taking the time to read it and respond Penny. I have pondered some of the same things when thinking of trying to move my business to the next level. I, of course, have jumped into the whole Social Media thing, but I have also reached out to new markets and diversified somewhat. All 3 of these have started to yield some results, it just takes time. 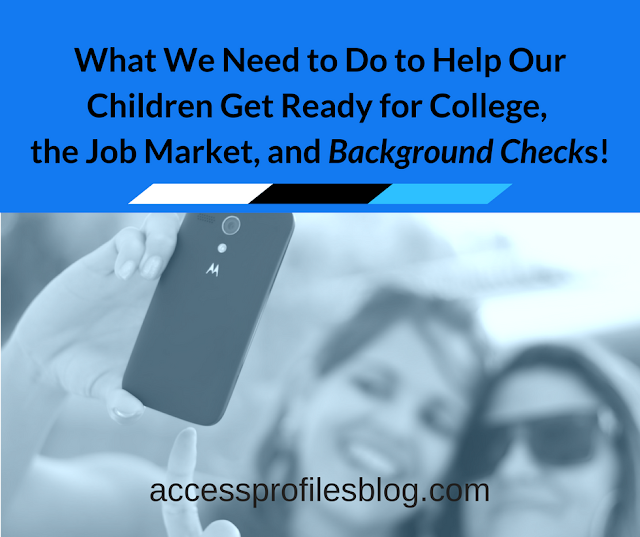 4 Common Misconceptions about Background Checks!